Are you searching for an engrossing ongoing anime series that does not contain a single second of boring fillers and time-wasting plots? You’ve come to the right place! 2018 has been an amazing year for the anime industry as more than 200 new anime series have been released while many others are all set to be released later in the year. Given this massive surge of variety, it can be extremely hard to pick out the perfect series to start watching. If you’re a beginner to anime, or even a hard-core lover, you must understand that it is difficult to find an ongoing anime series considering how quickly they tend to go out of date. So, we’ve decided to pick out the best ongoing series of the year that are regularly updated so you can treat yourself to an incredible dose of animated visuals and powerful storylines. We’ve reviewed some of the best ongoing series based on our experience, and we assure you that every single TV show listed in this article is definitely worth-watching. This surprisingly delightful show has the ability to shock the audience for many reasons. Firstly, it was never expected that Sanrio, the makers of Hello Kitty, could create a character so powerful and serious. And secondly, the brutally honest and genuine portrayal of the harassing ordeal and challenges women have to face in the workplace and throughout their lives makes it a poignantly moving account. The show is a constant reminder that despite all the challenges of everyday life, one can always carve out a way to eliminate all hardships. Sanrio anime has done a fabulous job of accurately portraying the inequalities of a woman’s life and the various fantasies we all have to eliminating all troubles. The honesty and poignancy is a refreshing break from how mainstream media tends to portray women. This show highlights the dynamics of a woman’s anger and expresses her femininity without any restraints. The script manages to capture some of the most tragic realities of our lives. 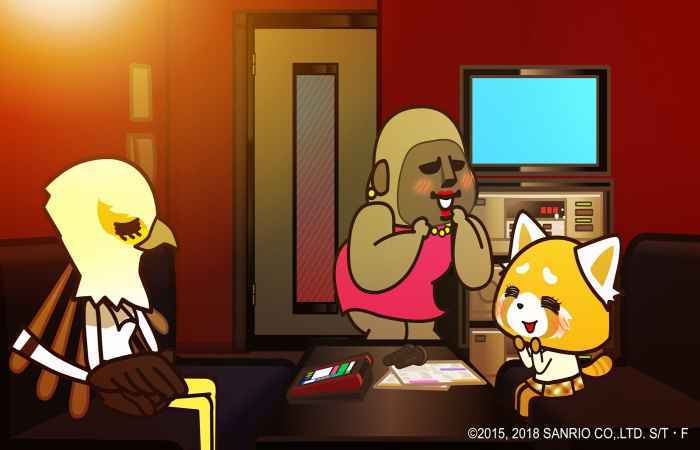 For instance, when Aggretsuko is fantasising about confronting a good-for-nothing supervisor, when she is stalked by an annoying sales boy to feel compelled about buying something. It highlights the Korean shopping culture of abnormally attentive sales boys and clerks, to the extent that certain brands have placed color-coded shopping baskets so the customers can signal their preference for help. Aggretsuko introduces the audience some of amazingly mindboggling features of the Asian culture, many of which tend to suffocating and impairing for most women. Have you ever read the famous comic series, Genshiken? It is about a social club at a college in Tokyo that revolves around the lives of anime geeks and nerds. They come together as the most unlikely and amazing group of friends, a tale that will leave you nostalgic for your own college memories, or perhaps craving to have such nerdy friends in your life. Wotakoi also revolves around the same theme, and it is enjoyable for everyone, teenagers or adults in their 30s. It will inspire you to foster stronger bond, along with being relatable to many of the relationships you already have in your life. The series revolves around the life of Narumi Momose, a young office employee who is hiding the reality that she is actually an otaku with a new public life in order to escape the challenges of her past. 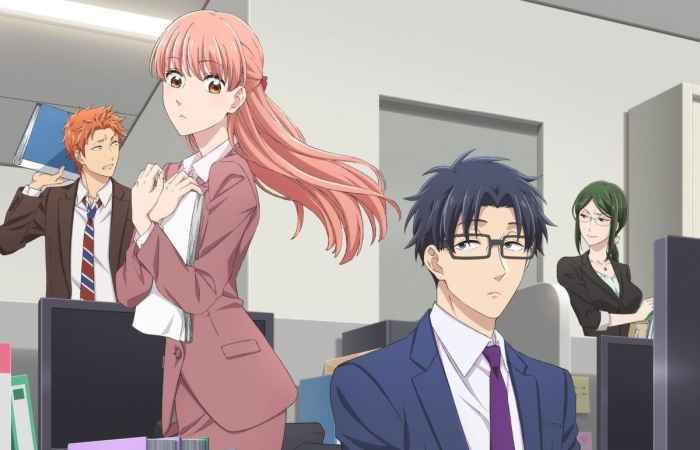 Soon after starting on her new job, she meets an old friend from her childhood, Hirotaka Nifuji, who accidently discloses her reality as an otaku in front of her Narumi’s co-workers. These colleagues, Hanako Koyangi and Taro Kabakura, are actually otaku themselves who hide it with a disguised public life, and they have also been dating since high school, two facts their co-workers are completely oblivious to. The plot is quite thick and interesting, and Wotakoi is a splendid romantic comedy that you can enjoy on a cold winter night. It is definitely more about comedy than romance, which makes it all the more fun and lively. It throws light upon the everyday ordeals of creating a balance between our professional and personal lives while juggling with our hobbies and passion on the side. It uniqueness is undoubtedly its ability to portray charmingly endearing characters and creating humour from their life debacles without being overly critical of them. When the plot thickens and gets serious, you will find yourself addicted to each and every character of this fabulous show.